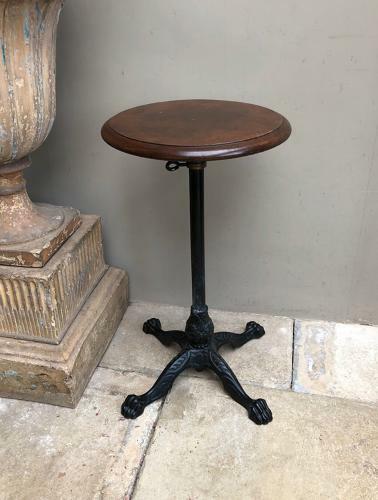 Early 20th Century handy side table with cast iron base and adjustable height. There is a screw which turns to hold the central rod as the required height. It moves up and down. All working (the turn screw is a replacement but as I bought it). Collection or Courier UK £45 (Not including Scotland).